OLD PARKED CARS. 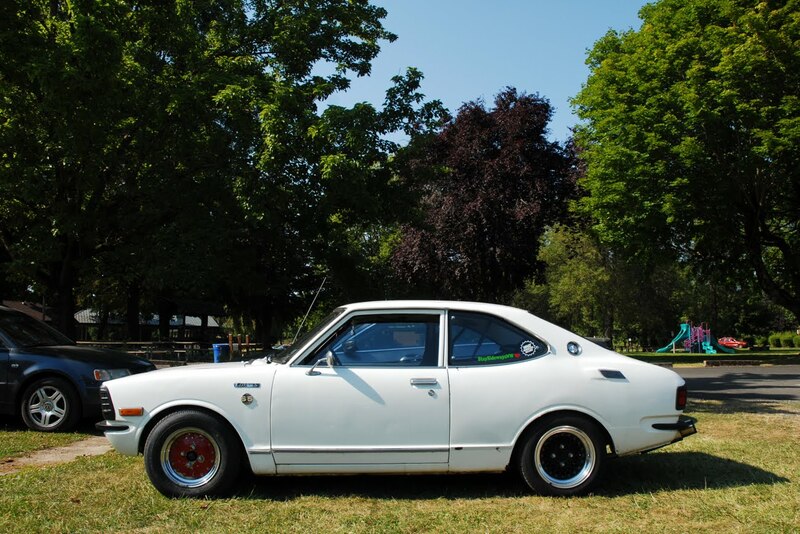 : 1974 Toyota Corolla S5. love this car but it drives me crazy when people put huge tires on the front and little tires in the back. It looks so improper and throws off the look of the car IMO. skinnies in the front, fats in the back. other than that it's a great te27, although can someone enlighten me as to the difference between the s5 and sr5 models? tried Googleing it and couldn't find a definitive answer. ^ I agree with the first commenter about the tires. Looks wrong! I'm probably in the minority about this but I would prefer if the car looked stock, e.g. take off the rims, fart can, stickerbomb, and tape off the headlights. To each his own I guess. Also, there's not a lot of info about the first gen SR5 and S5 because Toyota's presence was so small at the time and I don't know how many were built. But the only thing the cars share is a 5 speed transmission (a Toyota first) and a faux wood grain dash theme. The SR5 had more visible features like factory flares, red piping on the seats and a 10 bolt rear end. These days it's really hard to tell an SR5 clone, you have to look at the VIN. Man, this takes me back to the time when I was trying to find out if my SR5 was real without the seller knowing I was interested. The blue one you had Ben, was very nice. I'm 50/50 on this one. One part of me wants to say it's molested and it should be stock, and another part of me says it looks good. I'm all about keeping it stock, but that's just me. If the owner is happy with his choices then I guess that's all that matters. Props to him for making it his own, so to speak. 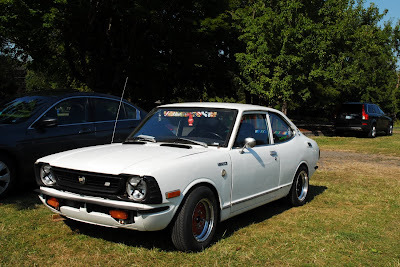 Nice corolla and lovely photos. 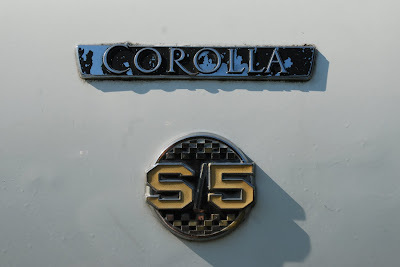 As a Corolla fan, I'm just glad to see an S/5 period. 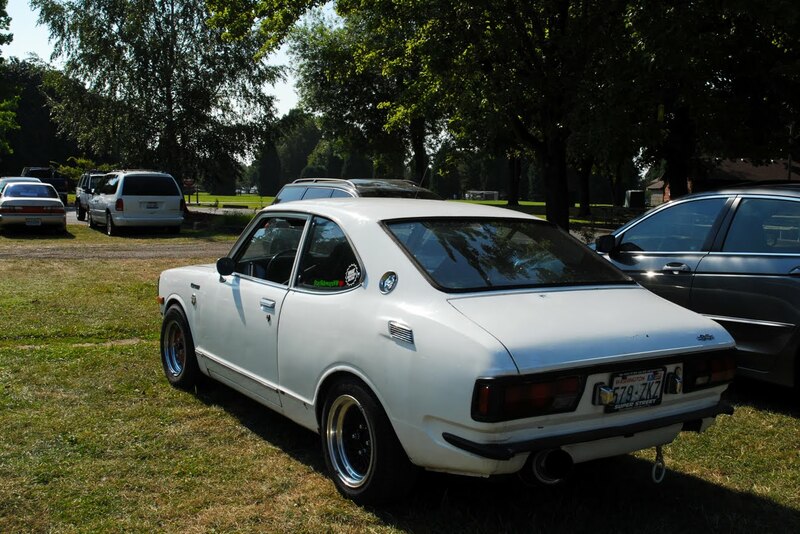 It's one of those cars that very few people will ever get to see in person, and reinstalling bumpers, stock wheels and a muffler are really easy. Be psyched that it has the original interior and engine (stock except for a Weber 32/36), and hasn't been flared out. I'm trying to fight the bug to buy another Corolla from this period, I think I'll only let myself get a wagon.